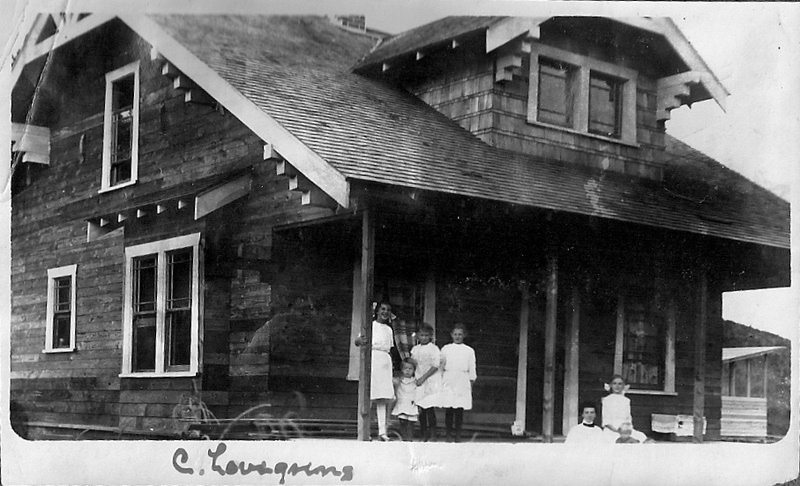 Cherry Grove post office was established May 8, 1912 and operated until June 30, 1959.. The community was founded in 1911 by August Lovegren. 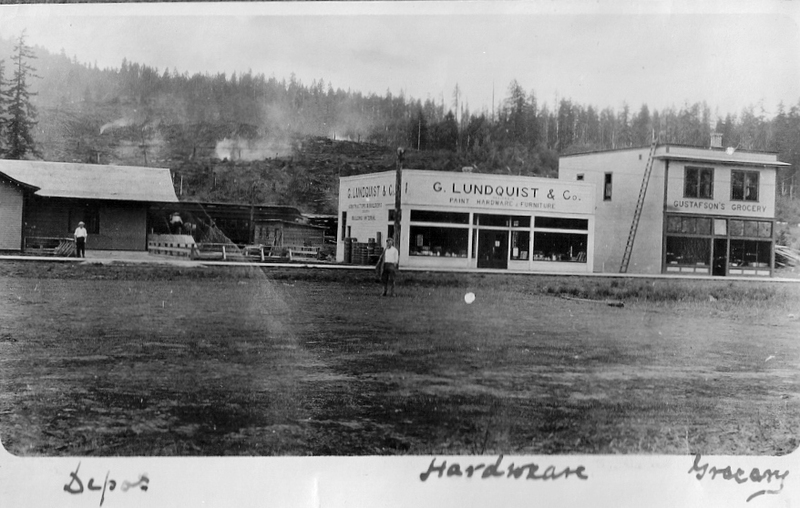 Lovegren, who came to the United States from Sweden 1883, moved to the area after operating a lumber mill in Preston Washington. 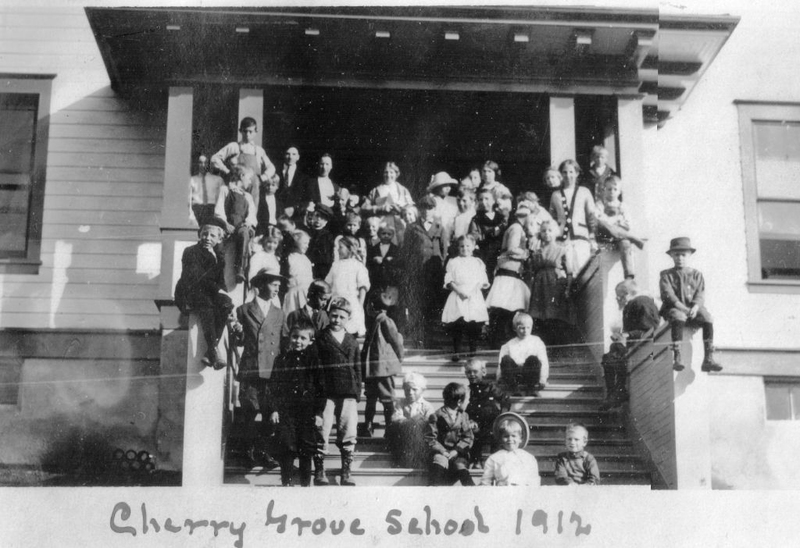 I am a granddaughter of August Lovegren, and my father, Philip Lovegren, was heavily involved in the original development of Cherry Grove. 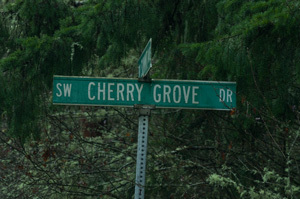 It was named after Cherry Grove, Minnesota, a farm belonging to my grandmother's family. The family moved to Oregon in 1911 from Preston., Washington, near Seattle, where Grandpa had operated a successful sawmill. 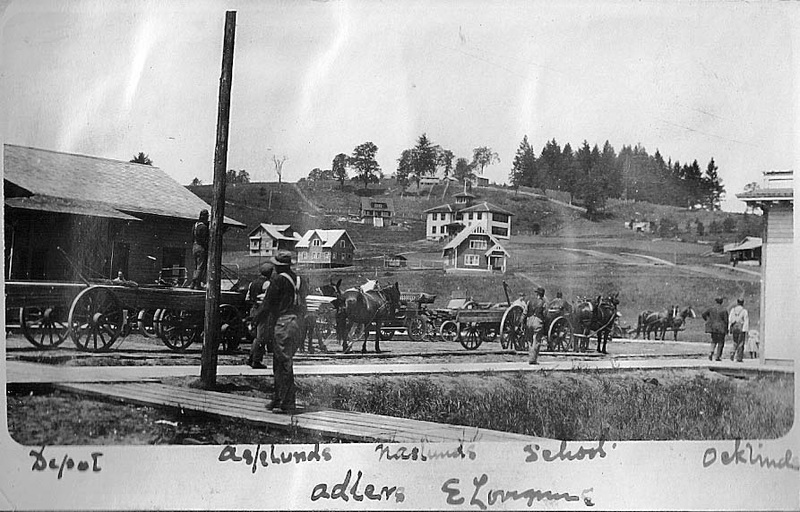 He had great faith in the future of this corner of Oregon, and originally planned to run a rail line through the Coast Range to the coast (which he called the Willamette Valley and Coast Railway). . Unfortunately, there was a depression in lumber prices at the end of 1913, and then a major storm in 1914 washed out the south end of the dam on the Tualatin River which formed the millpond, and the whole season's logs were lost. 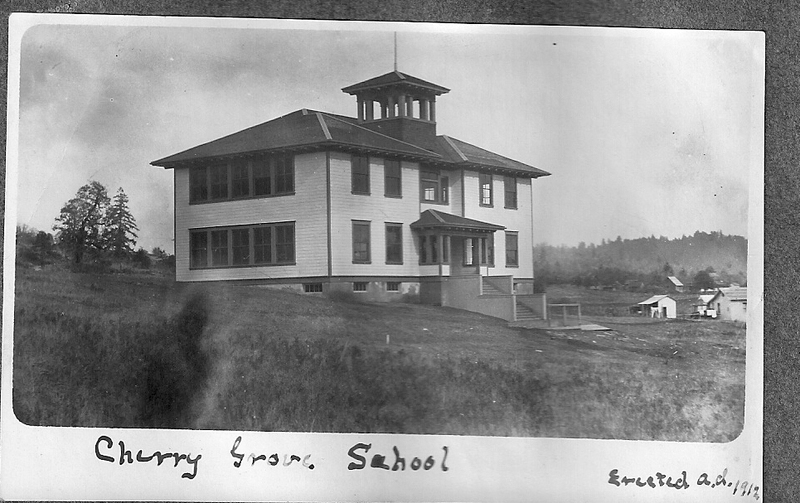 He sold the mill at a loss in 1915, and was in the process of building a new mill in Stanton, Washington, when he died in 1917. In its heyday, there was about six miles of track connecting out to the main line. The remnants of the dam are still there at the head of the valley. 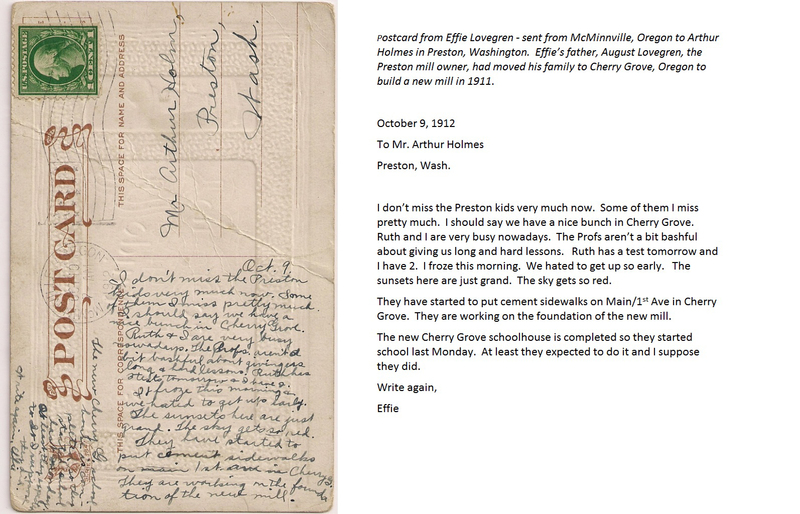 The post office and general store were run for many years by my aunt and uncle, Effie (Lovegren) and John Pearson. 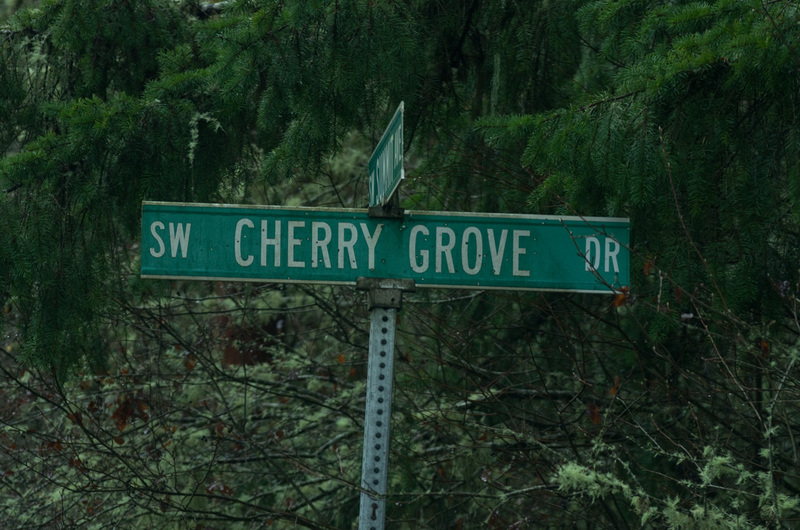 An electric sawmill was ultimately built at Cherry Grove in the 1920's, but it failed in the depression. 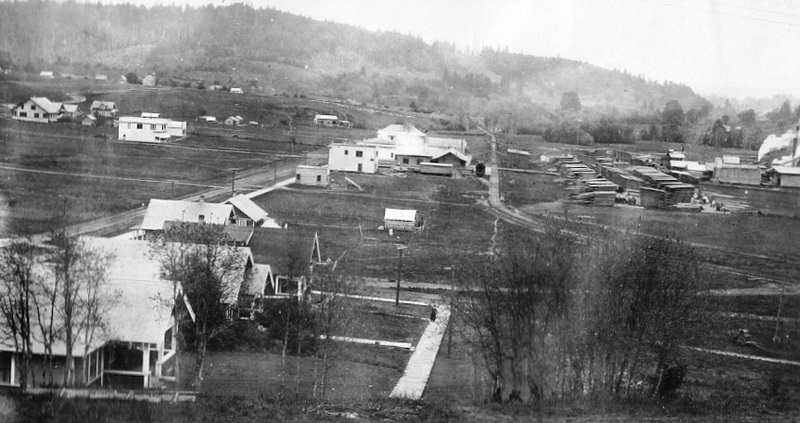 It was reopened as the Koennecke Mill and handled salvage from the Tillamook burn until that played out in the 1950's. 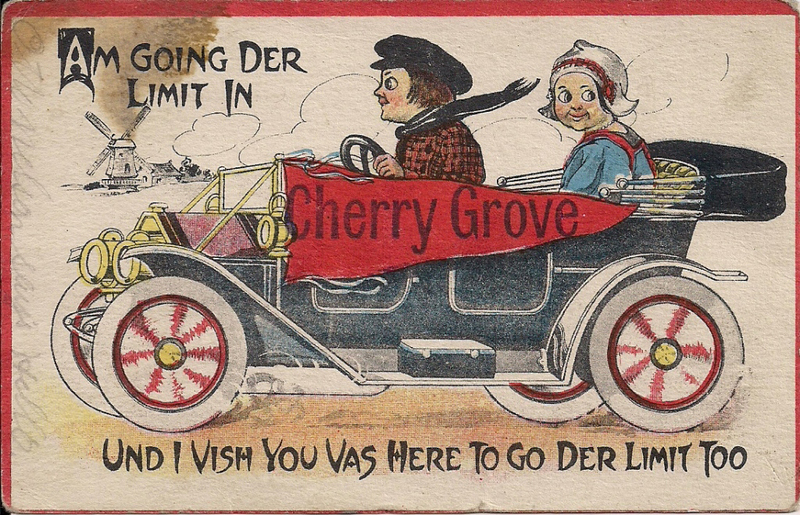 In its heyday Cherry Grove sported a service station, hotel, tavern school and a number of homes, but little remains today except the homes of which there are actually quite a few in a pretty smallarea. See also Patton Valley .